Reading can be a very fraught topic for parents, teachers and students. Strong reading skills are essential for accessing later curriculum, so teachers put a lot of emphasis on it early. But the pressure and angst of getting students reading on schedule can sap the joy out of an activity that many young children love. At its heart, reading is a way to access stories, which in turn make readers wonder about the world. In the race to get kids reading, it can be easy to treat reading like a procedure, instead of the complicated experience that it is. In her ten years of teaching, Courtney Rejent has had many students pass through her classes who claimed they hated reading, but rather than forcing them to read books they hate or making them fill out reading logs to show they read at home, Rejent has taken to heart an approach to reading that is much more relationship-based. Her sixth grade classroom runs on a reader's and writer's workshop model, which means students are doing the majority of their reading and writing in class, where Rejent can help them. “Readers, especially struggling readers, often have this mindset that they’ll never be a good reader,” Rejent said. 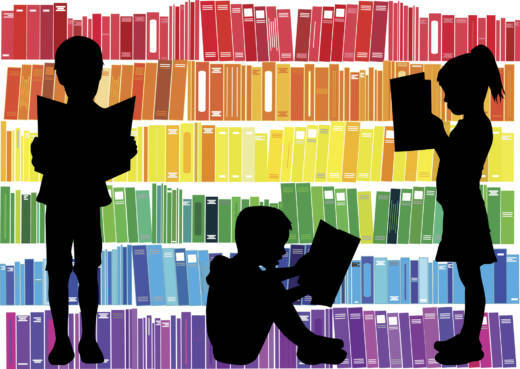 By middle or high school, kids who struggle with reading are acutely aware that they aren’t reading on grade level and often avoid reading because they’ve experienced so little success. Rejent believes that every student comes to her classroom with skills and strengths, but they often don’t recognize them that way. Her first step with a student who states he hates to read is to name what that student is doing positively, as a way to build rapport and help the student see it for himself. Rejent remembers one student at the beginning of the year who would “find anything else to do besides read.” In her first conference with him she pointed out that when he sat down to read he would find where he left off and then re-read a little bit. The boy mumbled he did that because he couldn’t remember what happened. But Rejent celebrated that reading strategy, acknowledging that all readers do that. “It’s almost small little moments you have with readers that then piece together to make a kid realize they can grow,” Rejent said. That boy grew tremendously in his reading ability over the year. He started noticing character development and growth, and began looking across the text to make connections between events driving the narrative. He may not have finished sixth grade reading at grade level, but he’d begun to engage with reading again and had made huge progress. She also doesn’t think it’s appropriate for kids to be so aware of their own reading level. “Levels are important for the teacher to know so you know what the student needs to know next, but it’s not something the child should be labeled as,” Rejent said. She continually goes back to the idea that whether a student likes to read or not is often an accumulation of experiences around reading. So she never focuses on the reading level; instead she encourages students to try different strategies and tries to help each learner on his or her individual path. Rejent learned many of the approaches to reading she now uses daily from Gravity Goldberg, a former teacher and current literacy consultant and author who works with the English Language Arts teachers at Westbrook Middle School where Rejent teaches. Goldberg’s approaches are based in research, but focus on how individual children relate to reading. She says often teachers need to shift their role in the classroom in order for students to take more ownership over their reading growth. Most often teachers spend their time assigning what students should read and how they should show what they read, monitoring to make sure students have done what was asked, and making decisions about what students will do and how they will do it. Those roles make the teacher the main driver of the learning. In order to step back from those traditional roles, teachers have to replace them with new strategies. “There’s a place for those three, but when that’s our main role there isn't space for ownership and to develop that growth mindset,” Goldberg said. She coaches teachers to think of themselves in four very different roles, and to step back from constantly stepping in when students struggle. A big part of that is making it clear that struggle is part of reading, not a unique experience to students learning to read. It’s common to start a book and be confused, or to read a passage and miss something, but teachers don’t often make it clear how universal that experience is, no matter one’s reading level. Rather than being assignors, monitors and managers, Goldberg coaches teachers to see themselves as miners, mirrors, models and mentors. MINER: To understand what is driving reluctance in each individual, Goldberg says teachers need to step back and observe how the student interacts with reading, what they say about their approaches to reading, and how they feel about it in order to understand what particular strategies will move them forward. This might be one of the hardest and most rewarding parts of teaching reading. Students dislike reading for many reasons and different strategies will work with different kids. A student who can articulate what he tried, what he didn’t understand, and what he needs help with is signaling that he’s willing to lean into the struggle. That’s very different from a student who avoids reading altogether. And Goldberg says this more nuanced, personal picture of a reader won’t come from standard reading tests. Instead, it often comes from a student’s word choice, her body language, her process. Fifth grade teacher Gail Cordello says taking the time to observe students was a tough transition for her. “I thought it was a waste of time,” she said. She wanted to jump in with data from reading tests and start focusing on the deficits she saw in her students. But when she did finally step back and try to notice positives she could give feedback on first, the classroom dynamic shifted in a meaningful way. MIRROR: This is where teachers can give students growth mindset oriented feedback that calls out the work students put into reading, focusing on the strategies they used and not on the end result. Goldberg says language is very important in this feedback. Even saying something simple like, “I like how you made a prediction,” can indicate satisfaction with an end goal. She suggests thinking about it as a narrative, rather than a label. Describe what the reader did, rather than labeling it. “That way we’re acknowledging the work they put in,” she said. MODEL: This is when teachers get to show students how to use strategies that may help them improve. It’s the third “teacher move” on Goldberg’s list because before teachers can effectively model, they need to have a sense of the individual reader and to have given feedback on the strategies already in use. But, “if students aren't taking time to preview their book ahead of time, just telling them probably isn’t enough,” Goldberg said. She suggests thinking of it like a cooking TV program by showing students why the strategy is useful and when they might choose to use it. “We have our own books and we show them in our books how we go about the process of reading,” Goldberg said. If the teacher recognizes that many students are skipping words they don’t know, for example, she might choose to model what she does when she comes across a word she doesn’t know in a shared reading exercise. She might go back and re-read the sentence, talk through how she can use contextual clues to figure it out, and maybe even look it up. This modeling process not only helps students understand why a strategy is useful, but it also shows them that everyone struggles when reading. Another important part of modeling is to help students understand how to transfer reading strategies across books. For example, when reading out loud to students the teacher could stop, identify a conflict in the plot and discuss with students how that conflict reflects all the decisions a character makes. Then students can go back to their independent reading books to practice the same strategy on a different book, aiding transfer. If teachers focus too much on the specifics of one book, then students may not naturally extrapolate the strategy to their own reading. MENTOR: When a student is trying to use a new strategy, she might struggle. That’s when a teacher can do a little coaching, like “try reading it again,” or “what other words do you know that have that part,” to help cue the strategy. Crucially, though, teachers aren’t stepping in to do the work for students. Goldberg says when teachers help too much they rob the student of the “learning high,” that exultant feeling after getting something that didn’t come naturally. She acknowledges that it can be very hard to let students struggle, even when teachers know the skill is within the student’s reach. She suggests three tips that work for her. First, she’ll just take a step back. “That little bit of space reminds me it’s not my job to fix it,” Goldberg said. She also might write the struggle down on a clipboard so she can talk to the student about it in a reading conference later. That gives her permission to step away in the moment. Lastly, she suggests naming the struggle. So, for example, “You’re confused about the main idea.” When said with empathy it might give the student a little shove in the right direction without solving the problem for her. Goldberg’s approach to reading instruction works well within the reader’s workshop model because students are reading in front of teachers. When teachers expect most reading to happen at home, it either doesn’t happen at all or the teacher has very little information about how it went and what the student might still need to learn. Rejent only has students for 60 minutes a day, but she’s seen huge gains in reading growth when she can conference with students on reading during class time. But reading in class doesn’t mean student shouldn’t also read at home. In fact, parents can use many of the strategies Goldberg describes for teachers. Reading aloud and modeling the reading process, trying to get at the heart of why a child doesn’t like to read instead of forcing them to do it, letting them choose what they read, these are all good parental strategies that support reading too. Most kids loved stories when they were little, but as they grew up and learned to read the joy and pleasure of the story may have become buried under the stress, or shame, or frustration of reading. When working to build readers back up, Goldberg says she doesn’t recommend external rewards for reading. Pizza parties and extra recess for reading send the message that reading is work, not play. Adults don’t read because someone will give them a pizza party. They read because they get invested in characters, or they want to understand something better, or they want to be able to talk about a book everyone is reading. Reading for children shouldn’t be so different. If rewards are already in place, Goldberg suggests using reading-focused rewards when kids reach their goals. Maybe that means ten extra minutes of reading time or a trip to the bookstore or library where the child can pick out anything he or she wants. Teachers like Rejent and Cordello using some of the strategies Goldberg recommends say they’ve seen huge shifts in the ownership students have over reading. “I actually saw kids get enthusiastic and engaged with reading for the length of the year,” Cordello said. Before, they were just doing what they were told because it was a school subject. Now they argue over whether they’d rather have a read aloud or independent reading time.